Here is a surprise mini pod-cast for our listeners, just to say thank you for your continued love and support. We truly appreciate it. 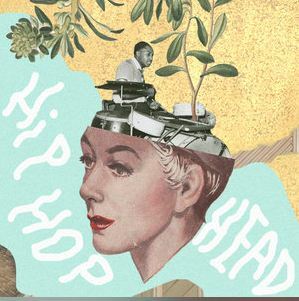 As always, it’s the very best in progressive soul & hip-hop featuring the incredible sounds of Miles Bonny, Elzhi, Dusty Fingaz, Paul Johnson, Kendrick Lamar, Cecilia Stalin, Werkha, Moka Only, Your Old Droog, Mental Abstrato, BJ The Chicago Kid, J.Mcfysian, Donn T, Extra Medium, thatmanmonkz, Terrace Martin, Curren$y & Alchemist, Cane, Dillon & Paten Locke, Esperanza Spalding, Ta’Raach, The Emotions, Open Mike Eagle & Paul White, Questlove, James Brown, Statik Selektah, Anderson .Paak and Sammy Davis Jr. Enjoy. TUNE IN “LIVE” THIS THURSDAY (17TH MARCH ’16) TO THE LEGENDARY ITCH FM AS THE WORLD FAMOUS MORPHEUS SOUL SHOW WELCOMES VERY SPECIAL GUEST CECILIA STALIN TO THE STUDIO, TALKING LIFE AND MUSIC WITH THE SOULFUL SOLLY BROWN AS I (DJ JOHNNY REBEL) SPIN TRACKS FROM HER LATEST EP “THE LOVE” AND MORE. 8-10PM (GMT). DON’T MISS IT!